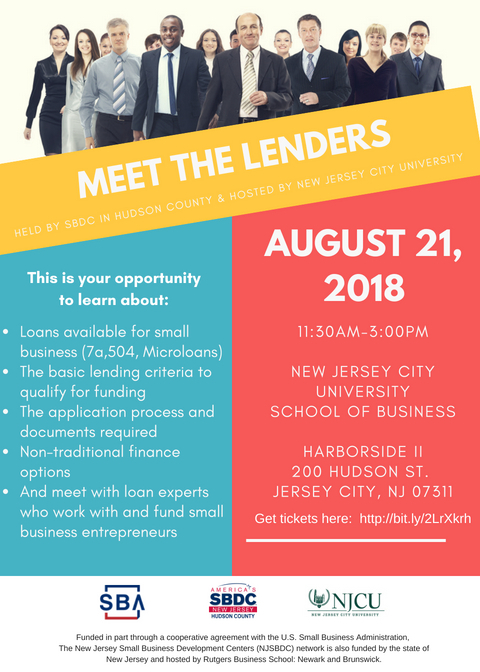 Meet The Lenders – Learn how to get a Business Loan directly from the Lenders! Central Parking- Plaza 4A at 135 Greene Street, entrance is on Christopher Colombus Drive; $5 parking if you bring your parking ticket to the check-in desk and ask for a coupon. (See bottom of the image below).